Develop and maintain a comprehensive professional development system with stable funding and measures for quality assurance. Develop or revise statewide career pathways that provide a road map for early childhood professionals to advance in their careers through increasing levels of education, experience, demonstrated competencies, and compensation. Make progress toward compensation and benefit standards at parity with kindergarten teachers. Promote data-driven policies and programs for the workforce with a statewide workforce registry. Bolster scholarship programs for early educators. Reward degree completion with wage supplements or tax credits. 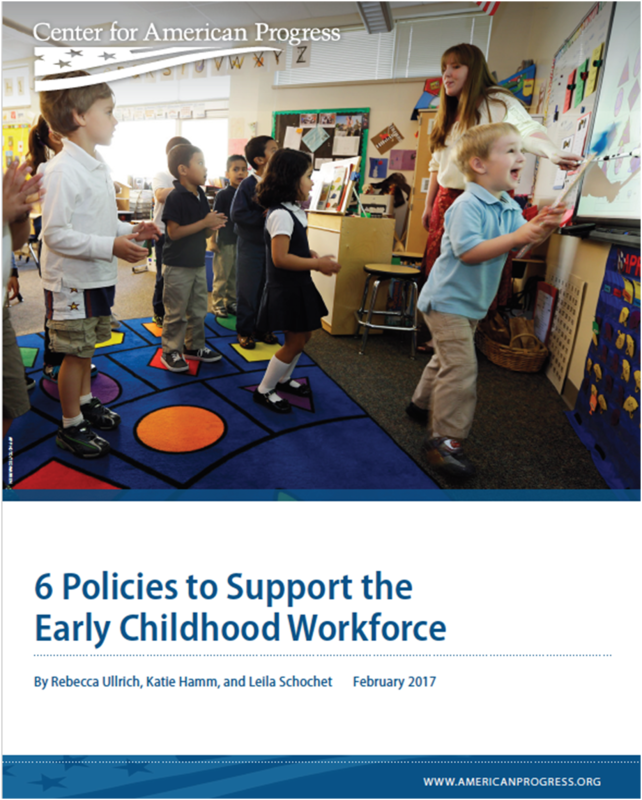 These coordinated, integrated policies aim to promote a diverse early childhood workforce that is skilled, supported, and adequately compensated.